For another spectacular drive in the San Juans, make the trek from Dolores to Telluride or vice versa. Dolores is a great starting point after visiting Durango, Cortez, Mesa Verde National Park, Hovenweep National Monument, Canyons of the Ancients National Monument, and many other scenic and cultural heritage sites. And Telluride? Talk about one of the most stunning towns in Colorado (and the nation) with some lower key charm not usually the norm in high end ski towns. Whether you’ve lived in Colorado your whole life or are a new “transplant” you have to visit Telluride . . . it’s non-negotiable. And Telluride is a great start to this drive if you’re coming from Ridgway and connecting it to the Silverton-Ouray-Ridgway Colorado Brewery Days drive. 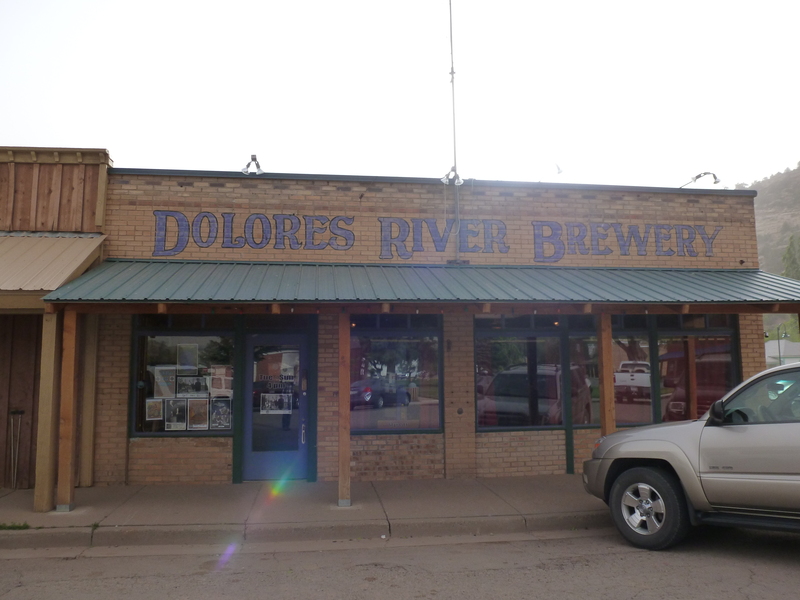 We remain amazed that the small town of Dolores is home to a brewery, but Dolores River Brewery is definitely worth your while. They’ve got some great beer and serve up delicious wood fired pizza. This funky spot boasts having found and repurposed nearly all of their equipment. For example, the grain mill is from a scrapyard in Los Angeles, the brew house is from a closed brewery in Cincinnati, the refrigeration is from a Durango yard sale, and the fermenters were found in a field in Illuum, Colorado. The Dolores River Brewery is a great spot for chatting with locals and sharing your most recent adventures on the river. They are also canning in “tall boys,” (16 oz. cans), but don’t expect to find these cans at your local liquor store. The folks at Dolores River are hand canning and labeling almost all their beers, but they’re only for sale at the brewery and the liquor store next door. 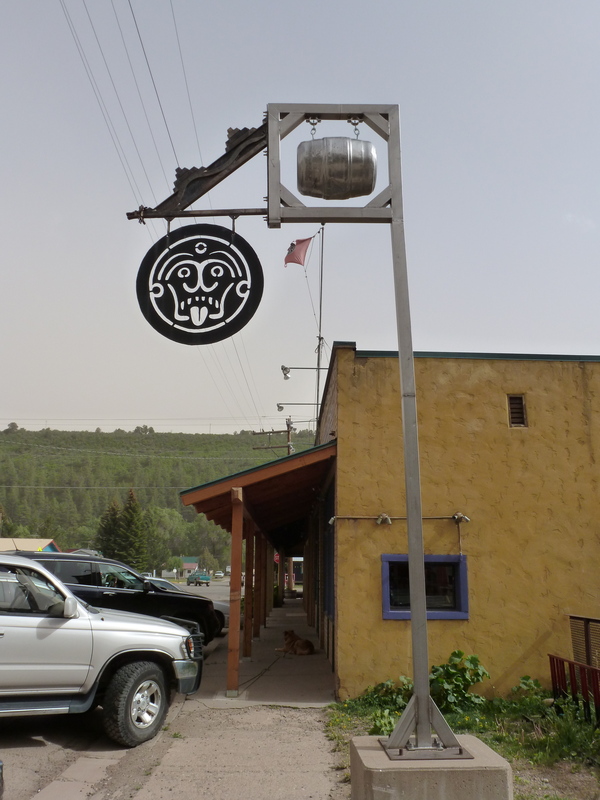 In fact, unlike a lot of the Colorado breweries that have started to can and have plans for even larger expansions, the Dolores River Brewery is quite happy as a quirky, pie-slinging brewery, with no intentions for expansion. This is a refreshing thought and ensures that the quality of their beer and food remains at a high standard which we will always drive out of our way to enjoy. So, if you find a beer you like at Dolores River Brewery, and you’d be hard pressed not to, pick up a four pack to savor later and to remember a brewery that knows who they are and what they stand for with conviction. After you’ve had your fix of wildlife spotting, site seeing, and delicious beer drinking in Dolores, head northeast up Highway 145 to Telluride, where you’ll find jaw-dropping mountain views. 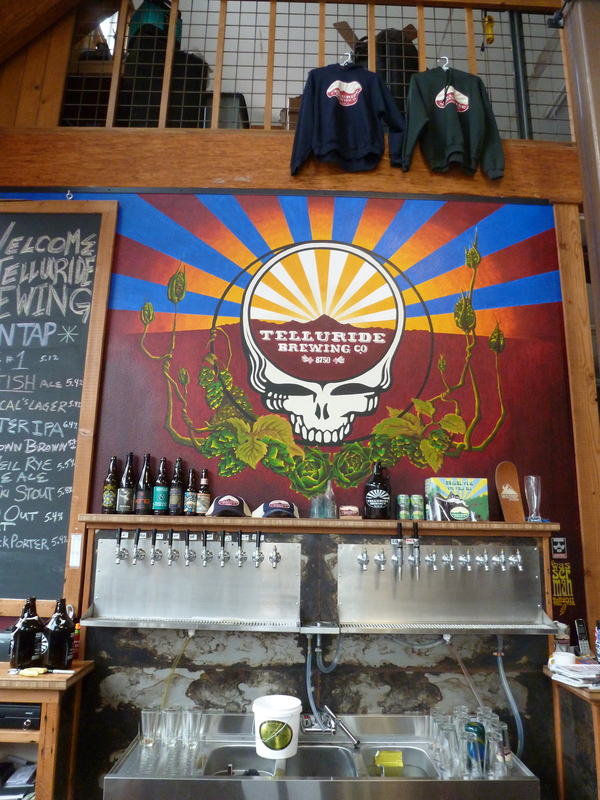 Before reaching the quaint and lovely town of Telluride, stop in at the recently opened Telluride Brewing Company. With nine solid beers on tap, including their Face Down Brown, (the 2012 World Beer Cup gold medal winner), and the Bridal Veil Falls Rye IPA, you’ll definitely find something to enjoy. After sampling at Telluride Brewing Company, grab a growler of your favorite for sharing around the campfire later, and then check out the patio at Smuggler Joe’s Brew Pub. The views at Smuggler Joe’s are spectacular, quite complimentary to the many styles of beer they offer. They usually have some rotating, experimental beers on tap that make a great addition to their standard beer menu. In May, we enjoyed a beer that utilized Juniper tips, a perfect fit for being in the mountains. Beyond the great beer, Telluride has a lot to offer the outdoor enthusiast. While several area National Forest campgrounds are quite perfect, the Telluride Town Park Campground provides a convenience to being near a wonderful town that’s really not replicated anywhere else in Colorado. The free gondola ride up over the main ski hill and down into the Mountain Village, offers a set of views that are worth far more than the price of admission. With access to trails for hiking and biking, and 4WD touring, Telluride is as endless with opportunity as anywhere else in the San Juans. And then you can also enjoy a music, film or yoga festival during several summer weekends. And then . . . and then . 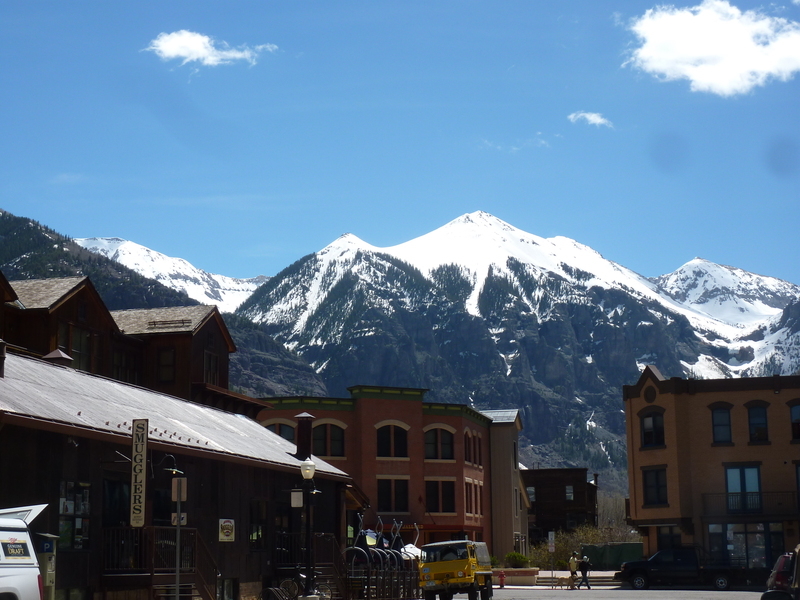 . . Telluride, like all of the San Juans, you really must see it for yourself.